A brilliant bargain from Puglia. The Negroamaro grape is king here, making both robust reds and fragrant rosatos. 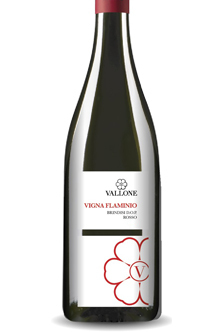 This comes from bush vines grown on the large Vallone estate in the Salentino peninsula. Agricole Vallone originally used to sell their grapes to the local co-operative, but in 1997 began bottling their own. With its sweet rich raisiny flavours, gentle oak, robust weight and smooth soft tannins - this was a big hit at our recent Puglian tasting. So try it for yourself!